As the 2018 legislative session gets underway in earnest in this, its first full week, we hope you will continue reading our special series “Policy Prescriptions” researched and written by A. J. Fletcher Foundation Fellow Samone Oates-Bullock. Last week, Prescription #1 addressed food insecurity in North Carolina. Prescription #2 took on the issue of early childhood investments. Prescription #3 analyzed the challenge of funding school adequately and fairly. Policy Prescription #4 called for racial equity in education. Policy Prescription #5 called for tackling the issue of environmental racism in North Carolina. Prescription #6 made the case closing the Medicaid coverage gap. 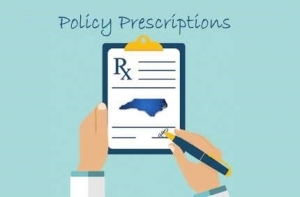 Yesterday, Prescription #7 urged lawmakers to make North Carolina more worker-friendly.